Our combined experience provides wide perspective on Market Conditions, Comparable Properties, Unit Mix, Unit Layouts, Design Trends in Finishes and Fixtures, Amenities Analysis and Creation of Project Identity to advance the developer's brand. 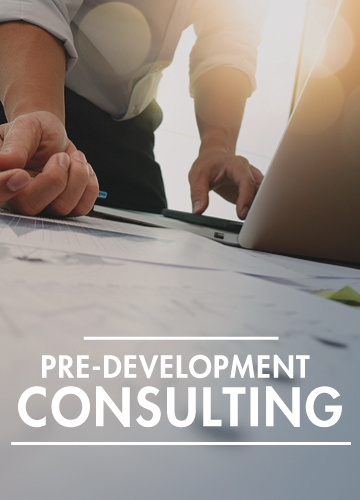 We collaborate with developers and landlords to maximize future revenue on Project Marketing Budget/Timeline, Marketing Campaign, Creation of Collateral Materials, Advertising, On-site Leasing, Social Media, Lease Administration including Tenant Screening and Verifications, Future Vacancy and Pre-Leasing to accelerate cash flow, Public Relations and Event Planning. Our broker network is over 10,000 licenses strong, with a position as an Associate Broker with the biggest relocation firm in the world. Years of working with landlords and tenants gives us perspective on Maintenance Leasing focused on preserving high occupancy levels based on real-time market conditions and competition. This effort is supported by supervision of Resident Programming and Tenant Conflict Resolution, through which we support the property's ownership as Quality of Life Ambassadors for the tenants we place.